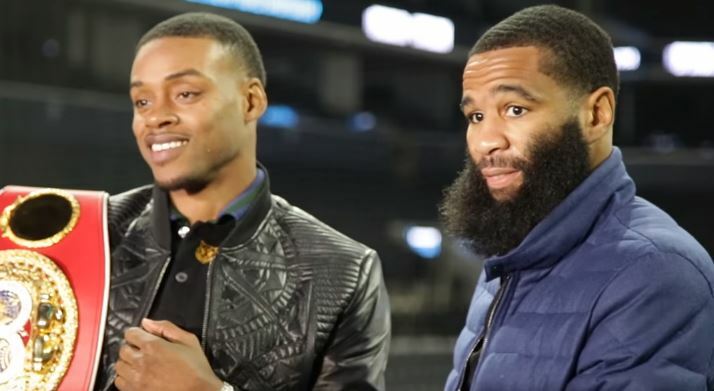 There has only been one #ManDown thus far in the career of Errol Spence Jr. And that has been on all 22 occasions, his opposition number, from journeyman, to contenders to champion. Spence impressed in every category on his way through the ranks. His punching became more significant as his opposition improved – thus putting up more of an offensive challenge. It was 8 straight stoppages for the Texan as his eye flickered over the red IBF Welterweight title, held by England’s Kell Brook. A competitive fight between two of the best 147lb fighters ensued, and shading it on the scorecards, Spence forced Brook down in the 10th, and finally forced the proud Sheffield man to take a 10-count in the 11th at his home team’s football stadium. Brook had suffered an almost identical eye-injury that saw him pulled out the year before against Gennady Golovkin. Spence 22-0(19KO’s) however, came of age that night. Coped with the pressure, the hostile atmosphere, and across 11 rounds looked world-class. Now – arguably – boxing’s hottest division is ready for the type of mouth-watering clashes that make legends in the game, make era’s that will have future generations wishing they were there to witness. Errol Spence holds the IBF belt, while unbeaten Keith Thurman reigns as WBC & WBA ruler. Then it is Jeff Horn with the WBO title. But with all due respect to the Australian, most believe, and hope, that the latest superstar of the sport, Terence Crawford, can capture that belt later this year. Completing what looks on paper as the best trio of world champions in one division that boxing can currently boast. But the challengers in this division aren’t half bad either. Lamont Peterson may not be considered as the leader of that ensuing pack, but he is a worthy contender, with a lengthy track record against the best from Super Lightweight to Welter. The biggest blemish on his record comes the failed drug test that marred his short reign as Super Lightweight champion. His biggest win to date over Amir Khan has been cast with a dark shadow ever since. But that period followed by a third round stoppage loss to Lucas Matthysse proved to be far from the finish of the Washington man. Instead he went on to make two further defences of the IBF title he mysteriously kept, defeating the respected Dierry Jean and then Edgar Santana – the latter inside the distance. He was then extremely unlucky not to upset the apple cart in a catchweight match with Danny Garcia. And that has been followed by back-to-back wins at 147lbs over Felix Diaz and David Avanesyan. Peterson 35-3-1(17KO’s) has also mixed with Timothy Bradley and Victor Ortiz – a loss and draw in the respective bouts – but much like when he faced a marauding Matthysse, he could be out of his depth in this one. Peterson could have stuck to the route of meeting Keith Thurman having won the WBA ‘regular’ title last time out, but felt it hard to resist the opportunity handed to him this Saturday night. Spence is 5-years Peterson’s junior, and that is maybe how many rounds it will take before it is obvious that the champion will be cruising to a first defence. It has been long-awaited since he won the strap in May, but it will be worth the wait as Spence looks a million dollars, hurting, dropping and ultimately stopping Peterson in the 9th round.